God doesn’t want you to have a life that looks good. He wants you to have a life that is good. 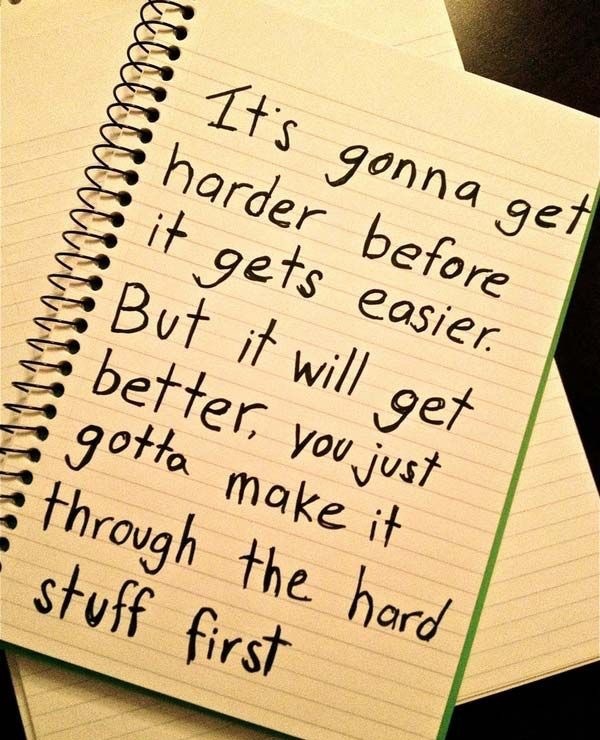 That means facing the challenges, sticking it out thru the hard stuff to learn the hard lessons. The hard lessons are the ones that give us the truths (and strength) to live a good life. Your identity is in Christ, not a title, a position or job. Your worth is who you are, not what you have (or don’t have). You are loved completely, endlessly and for all eternity because you have been embraced by God. You were made for more than just an easy life. You have been made to live a God ordained, Christ centered, Holy Spirit powered good life. Push through the hard stuff to get to the good stuff, to the peace that passes understanding and the faith that does not depend on circumstances. With Jesus, you can do the hard stuff.